It’s troubling to know that some of the very pet food giants responsible for the poorest quality diets available – formulas that have largely contributed to the compromised health of millions of companion animals — are the same ones now leading the industry’s charge to get probiotics-related pet products to market. Dysbiosis results in increased permeability – leakiness — of the intestinal wall, which means your pet’s GI tract will be less able to allow healthy bacteria and nutrients in and keep disease-causing bacteria out. Back to the good news-bad news department — up until major pet food manufacturers took an interest in probiotics, there was very little research into the ways in which supplementation could improve the health of dogs and cats. A Great Article by Mercola.com. Please go to http://www.healthypets.com to order your probiotic specially formulated for dogs and puppies. Giving your puppy or dog yogurt is not enough probiotic to be of benefit for your pets. 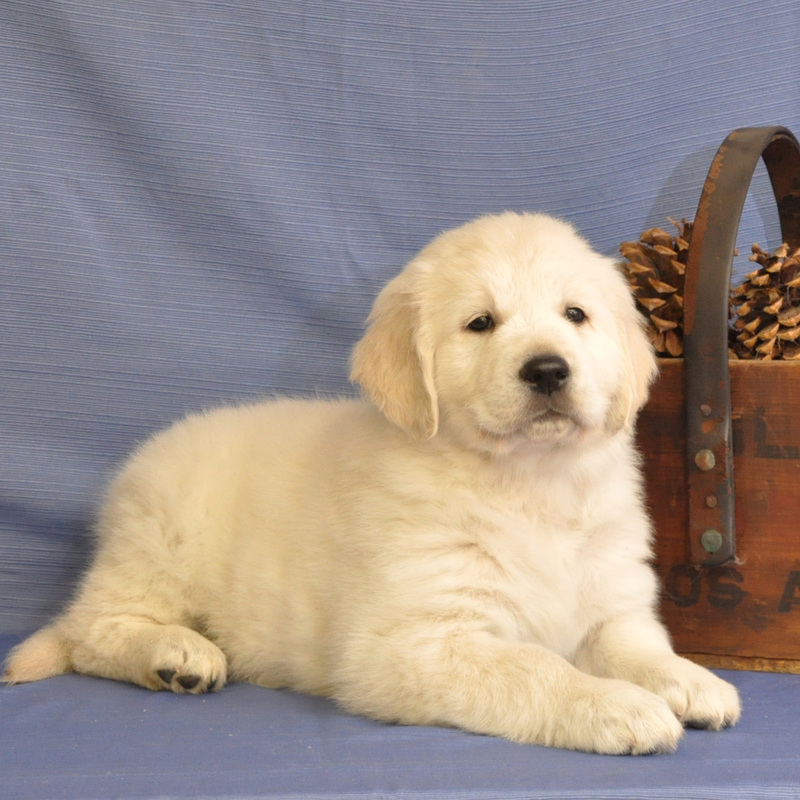 We introduce a probiotic to our puppies at 3 weeks of age when they start to eat. It has helped our puppies immune system from the start and has cut down greatly on loose stools and diarrhea. 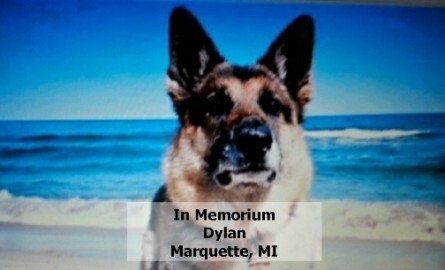 Hundreds of consumer complaints are aimed at dog food manufactures so far in 2012 and dozens – perhaps hundreds – of dogs are dead. Does this sound like deja vu? Could there be another massive recall like there was five years ago? The answer is, it is likely happening now. Fortunately, pet owners have become wiser since the melamine poisonings and massive recalls from 2007 and many are making decisions that will protect their pets. They have learned that quality control and food safety standards are shabby at best in many overseas and Chinese manufacturing plants and that even in the US, manufacturers have few safety and testing requirements. Pet owners are wisely avoiding treats and foods made in China and that’s good. But despite avoiding these products, their dogs continue to die and become ill. How can this happen when the food label says ‘made in the USA’? The label on your pet food or treat may conceal a little lie – and this lie could cost your pet his health or even his life. There is something inherently wrong with most processed foods that pet owners are unaware of. The heating and processing that these foods undergo create a fundamental change that could have dangerous ramifications – it renders the food essentially dead. What goes into the good is not what comes out once it is heated, sterilized, irradiated and extruded and nearly all dog foods will not meet AAFCO standards once they are heated. As a consequence, the vitamins and minerals must be added back in for the food to pass AAFCO requirements. If you have made the phone call and found out that your pet food’s premix has been manufactured in the US, don’t start feeling all warm and fuzzy just yet. The individual synthetic vitamins and minerals that are in that made-in-the-US premix are almost all manufactured in India or China so it may or may not be a safe option after all. 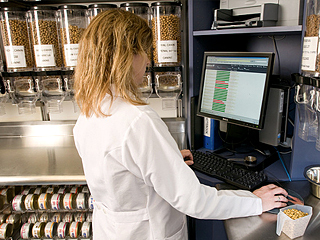 In the end, some pet food manufacturers do their best to source out the safest premixes possible – but it is difficult for them to determine where the individual ingredients originated from and what quality control measures were put in place. The million dollar question is, if pet food manufacturers can’t prove the origin of their premixes, why don’t they test every batch of food? The answer might shock you: it is so cost prohibitive that it is actually cheaper for them to pay the lawsuits from our dead pets than it is to test their product. 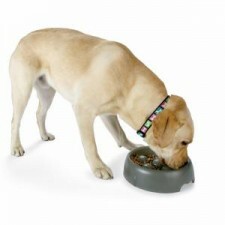 Food safety issues for both raw and processed foods will be discussed in the May 2012 issue of Dogs Naturally. In the meantime, if you want to avoid the dangers of foods manufactured in China, you must look beyond the label. Do your homework and ask the manufacturer the hard questions. Be an active advocate for your pets. And please pass this article on to as many dog and cat owners as possible so they can also protect their pets. We are receiving dozens of emails from pet owners who have lost their pets to sudden kidney failure in the last month or two and there are several major manufacturers implicated. We are compiling as much information on this as possible, but in the meantime, please help us to help pets by sharing this information. DOG FOODS FOR ALLERGIES: HOW RELIABLE ARE THEY? Granola Peanut-Butter Crunchies | The Bark. 4) The quality of processed commercial foods is suspect. Dog food may legally contain “4-D” meat: meat from dead, dying, diseased and disabled animals. Add a little road kill, mill floor sweepings labeled as grain, and corn contaminated with high levels of pesticide (yes, really) and you have a recipe for ill health. The cheaper the food, the cheaper the ingredients, the worse the nutrition. Read the labels! 5) Kibble does not clean teeth. Almost all dogs age three and over have dental diseases. Most of these dogs eat kibble. That should tell you something. Although a small study once suggested that kibble might clean teeth better than canned food, better doesn’t mean effectively. Hoping to avoid brushing our dog’s teeth, we too willingly grasp at kibble’s unsubstantiated health benefits. But pretending that kibble or hard treats will keep teeth clean will only lead to huge vet bills, lost teeth and much canine suffering. “Complete and balanced” means that a food meets minimal theoretical health requirements for the average dog. Food boasting that it conducted Feeding Trials often just test only the lead product in a line of foods. Trials, too, are for only a small number of dogs for a short period of time. Over time, nutrient and enzyme deficiencies are inevitable. Of course, complete and balanced is better than not complete and balanced, but again, better does not mean good. 7) Feeding the same food day after day limits nutrition. Imagine eating corn, rancid fat and chicken wings (without meat) every meal of your life, with the same mix of cheap vitamins and minerals added. Nutritionists urge people to eat a variety of foods, both for improved nutrition and also to prevent allergies. Dogs need variety, too. But variety can cause gastrointestinal upset in dogs, right? In the short run, yes. Nutritionally-deprived animals have sick guts. In fact, intestinal upset when switching foods is a sign your dog needs more variety. Once good nutrition has healed a dog’s digestive system, the dog can eat different foods every meal — just as people do. Just switch foods gradually over several weeks while your dog’s gut heals. 8) Kibble is not better than canned. Whereas canned food is preserved by the process of canning, most kibble is preserved artificially. (Ever contemplate how much preservative must be required to retard spoilage of food left out all day?) Kibble begins as a dry cooked meal whereas canned food is canned fresh. Kibble is exposed to more heat than canned (destroying nutrients). Worse yet, kibble is linked to kidney and bladder problems in cats, and to bloat, a deadly problem especially for large, broad-chested dogs. It’s also dehydrating. Of course, canned isn’t perfect either. Fresh is best, raw or cooked. Next best is frozen prepared food and then dehydrated and freeze dried foods, all available at better pet stores. 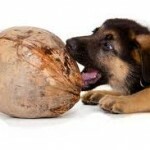 9) Some common foods can be hazardous to canine health. Cooked bones and rawhide chews can cause major health problems requiring emergency surgery. Wheat-based treats can bring on allergies. Onions, grapes, raisins, chocolate, the article sweetener Xylitol and other common foods can be toxic for dogs and must be avoided. Most kibble is loaded with corn, a cheap filler. Unfortunately, the corn isn’t the luscious kind you and I eat. It’s feed corn (like cattle eat), or cheap feed corn remnants. Even corn meal dust counts as corn. The corn may even have been condemned for human consumption, there being no upper level of pesticide contamination for pet foods. If that weren’t bad enough, corn (which gives us both high fructose corn syrup and corn oil) is fattening. Any wonder so many dogs are obese and suffer from diabetes? Improving your dog’s diet can add years to your dog’s life and save you a fortune. It doesn’t require a lot of work or expense. It just requires a little knowledge and the desire to give your dog the healthy body he or she deserves. Check out the two chapters in my book, Scared Poopless: The Straight Scoop on Dog Care. (Read an excerpt about dog food myths.) And check out Dog and Cat Food Labels: Marketing Tricks That Cost You Money and Dog Food: What to Feed and Why. The Best Thing to Add to Your Dog’s Food! Again, recent research has proven that adding vegetables to your dog’s diet is essential to long life and helping to stave off cancer. The best and easiest vegetable to add is 100% canned pumpkin. NOT pumpkin pie filling. This time of year it is on sale everywhere and all you have to do is open the can and mix with your dogs dry food. Most dogs love the taste of pumpkin. Another benefit of pumpkin and a reason to keep in the pantry all the time, is pumpkin will ease diarrhea. It also works in the other direction and helps relieve constipation. It is also o.k. to give canned pumpkin to puppies. It’s cheap, it’s easy, and your dog will love you for it.